After a comically disastrous few days of work at the farm, I decided to come home to northern Virginia. It all started with underestimating how much snow the Shenandoah Valley received in the last storm. Digging about a foot of ice-crusted snow out of my raised garden bed to fill it with aged manure compost added quite a bit of work to the process. This act put me behind schedule where the truck sat loaded with manure overnight and the following day temperature never broke 30 degrees leading to the manure freezing solid except in the very middle. Poor worms that had made their living composing the manure. Furthermore after the weight of the manure was out of the back of my truck, I could not maneuver back out of the field easily even with 4WD. 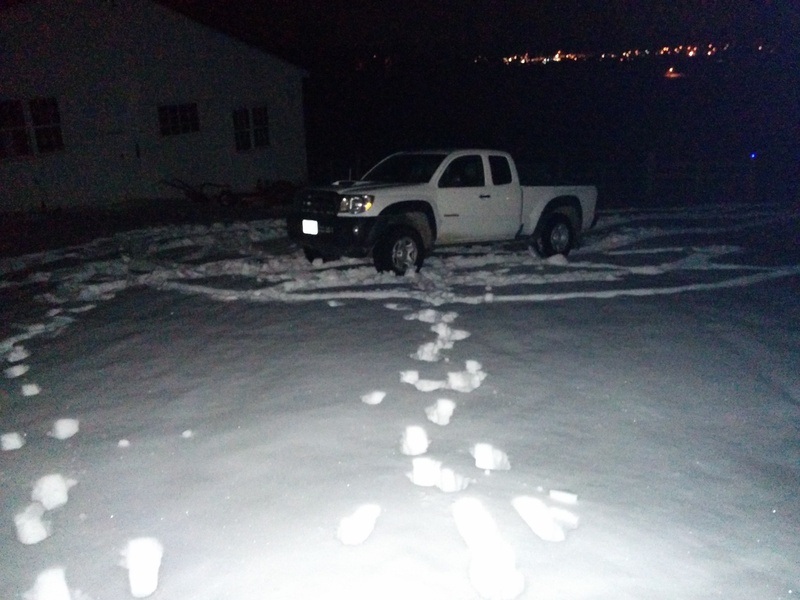 I wonder what the neighbor thought during his evening walk when I kept failing to climb the hill and had to end up getting creative by putting the engine weight behind me for traction and running up the hill in reverse. Here is a pic of the truck squatting under the weight of its load. So I returned home for a few days hoping the valley would thaw out a bit. Yet there is no place I would like to be than outside, even in less than perfect weather! Ecosystems do not get more diverse than the bedrock terrace forest found in a park surprisingly located in Maryland, Virginia and Washington DC. 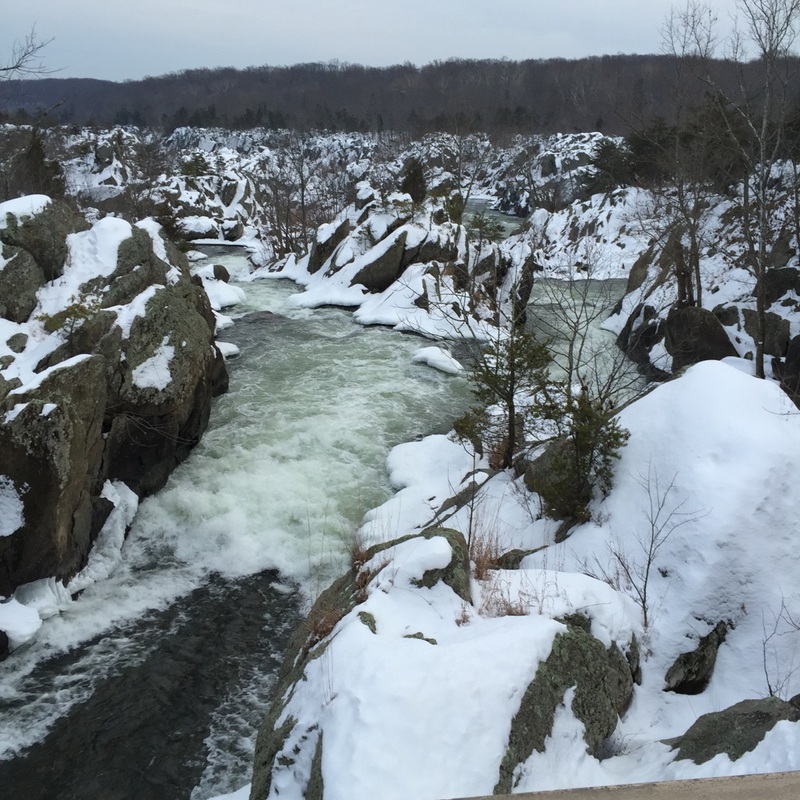 Having lived in Northern Virginia for most of my life, this was the first time I visited Great Falls from the Maryland side. Olmstead island is very unique in that every flood all but wipes away the forest life on the island. However it is situated in a manner that traps sediment as the flood waters recede. 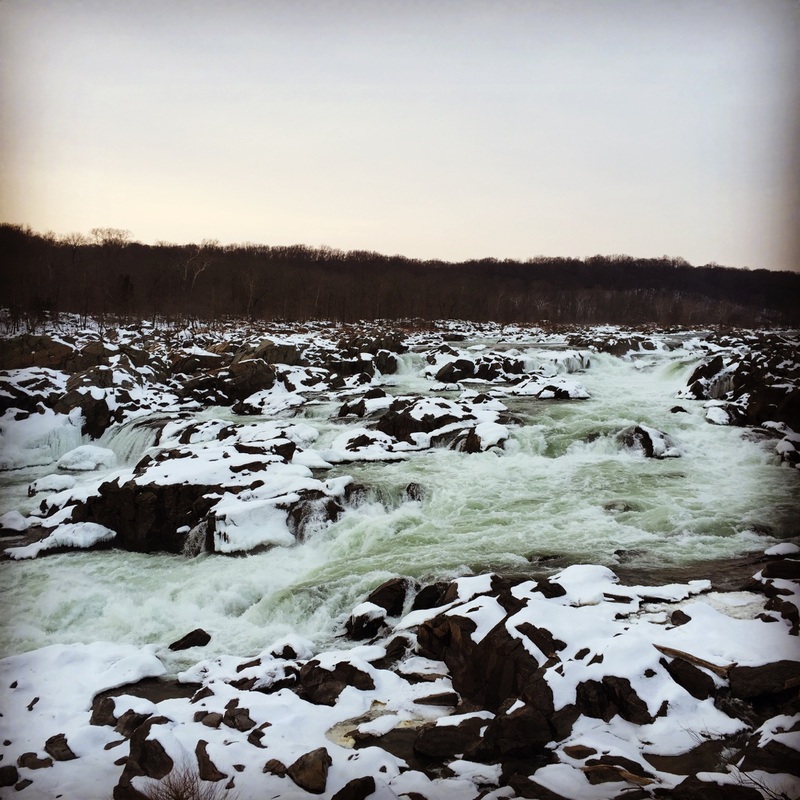 Within that sediment lies seeds from the entire basin of the Potomac River and its tributaries resulting and a vast array of species that would never be found in this area otherwise. Literature at the park even noted that Tsuga canadensis trees (Hemlock) grow on the island which normally only grow above 2,000 feet of elevation or at northern latitudes. I was unable to find any specimens, but the island is very strictly protected as the ecosystem is fragile and travelling off of the boardwalk is prohibited. Most of the trees including the oak and hickory hardwoods on the island are stunted so form was not useful in tree identification. Coupled with the snowcover and lack of foliage (except on Fagus grandifolia and various conifers), the challenge of identifying trees on bark and buds alone was an exceptionally fun challenge. My girlfriend learned quickly why non-tree-lovers typically become annoyed when hiking with me. I did learn however that my skills with 2-needled pines have gotten rusty! → Snow is only as negative as you make it!